Home / Itel / Itel A44 Pro / Reviews / Specification / Itel A44 Pro Featuring 2GB RAM Review and Price. Itel A44 Pro Featuring 2GB RAM Review and Price. Itel as the World's fastest growing Mobile Phone Manufacturing Brand, Itel has always been dedicated to providing variety of reliable and trendy communication device worldwide. From 2007 to 2017, Itel customers have been increasing globally over 45 countries. 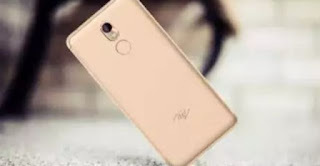 Itel are making up for their bad year of manufacturing low grade phones, I opined by manufacturing these days high-end phones of high secured level (rear fingerprint scanner). Itel A44 And now Itel A44 Pro. The Itel A44 Pro is the more powerful version of the previous launched itel A44. The Itel A44 Pro doesn't look bigger in terms of design as all updates were done internally. It looks exactly like A44 smartphone sporting an overall plastic body that is removable. The rear camera comes first at the top while the LED Flash along the fingerprint scanner. Remove the cover to insert the dual micro SIM and Micro SD. It has bezel-less edge as Itel has join the bezel-less trend. The top and bottom bezel are very minimal. Dishing 18:9 aspect ratio, offering more screen than bezels. The 5.45 inch FWVGA + IPS capacutive touchscreen displays like most low-level smartphones. Boasts of 720×1440 pixels in resolution and 285 pixels per inch density that show all the screen details clear. THE A44 pro houses the MediaTek MT6737m chip with quad-core processor and 64-bit CPU. The 4-cores of processor reaches a maximum speed of 1.4 GHz and 28nm process technology and Mali graphic processor Administrating graphics. Bigger 2GB RAM space on the A44 Pro with memory speed of 533mHz. 16GB storage space is available as well which can be expand to 32GB using memory card. Runs on Android 7.0 Nougat. It comes with a clearer 8mp rear camera that captures 3k resolution inages. 5mp selfie camera at the bezel. Rear and Front flash. No dual selfie camera. It also video call everyone with it's stunning selfie camera. Battery capacity powering Itel A44 Pro is a 2400mAh. Removable Li-on battery with no fast charging technology. It take more than 2 hours to fully charge up the battery from 0% to 100%. Video Yes Autofocus, Continuous shooting, Digital zoom, Exposure compensation, Face detection, Geotagging. The itel A44 Pro is available on Shopping stores starting from $89 (N30,000) to $109 (N40,000).